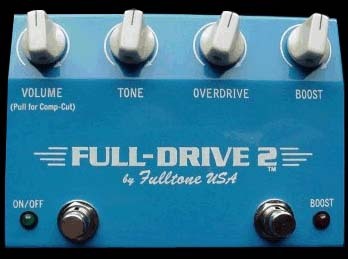 The Fulltone OCD, otherwise known as the Obsessive Compulsive Drive, is not only one of Mike Fuller’s best-selling overdrive/distortion units of all time, it has also been heralded and awarded accolades by the media since its introduction 12 years ago. Along the way, Mike has continued to make mild tweaks to the circuits and I remember playing through and trying each version myself. Mike continued to be obsessive about his OCD and I enjoyed listening to the results. Now in 2017, Fulltone has launched what it is being dubbed as the “final” version of the OCD, the OCD V2. The OCD V2 packs a number of new updates and features, so we took a look to compare it to its predecessor, the OCD version 1.7. When the original Klon Centaur professional overdrive was released in 1994, it was one of the very first boutique overdrive pedals on the market created for the player interested in fine-tuning their tone. Boutique in every sense of the word and hand built by its creator Bill Finnegan, each Klon Centaur was carefully crafted with premium and carefully selected parts. As other boutique pedal makers developed products throughout the decade and focused on expansion with other models, Finnegan stuck with the Klon Centaur as his sole focus. In 2014, Ibanez introduced its 35th anniversary TS-808 Tube Screamer overdrive pedal, based on the original it created in 1979. What’s now known as the “narrow box model” by collectors, has returned in its original smaller footprint, with the rare “flying fingers” graphics along with side-mounted 1/8-inch 9v DC adapter jack just like the original. The lightweight aluminum 35th anniversary TS-808 was also changed under the hood to be closer to the original, and is outfitted with a pair of op amp chips. This is a variation that is the main difference between it and the single op amp version of the 1980 TS-808 Tube Screamer and others including the TS-9 that followed. These later TS-808 and TS-9 models deployed input and output transistor buffers rather than the additional chip used in the original and now reissued narrow box model. Overdrive and distortion pedals, particularly vintage models from companies such as Ibanez (check out TS-808 tube screamer prices on Ebay), Boss (OD-1 very collectable), MXR, etc., have been very popular lately. One reason is of course primarily the tone that they offer. The other, is that plain and simply, they’re just built better than what you can commercially get today. I recently opened up an old MXR distortion plus and was impressed that it had not one, but four signed signatures on it, for testing and “signing off” on the unit during various stages of construction. You don’t often see that kind of care being taken when building pedals anymore. These days, it is about getting the bottom line (i.e. the cost) down to as little as possible. Even companies such as Boss that mass-produced many units since the ‘70s, did an excellent job and the quality was top notch while the pedals were being produced in Japan. Now, is well, another story.